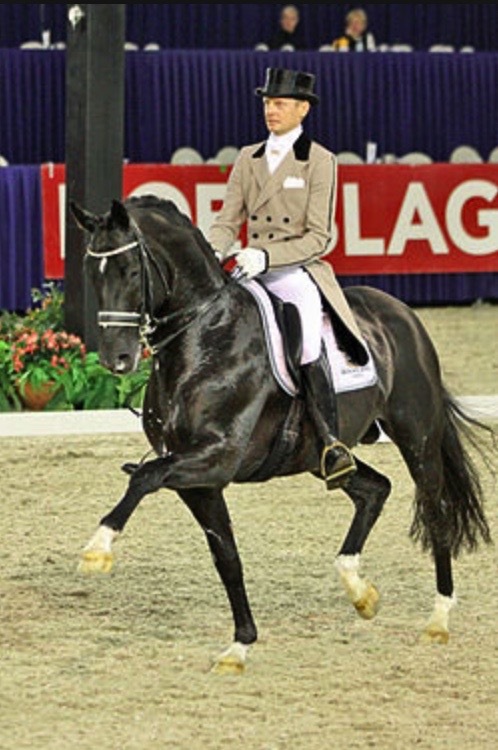 Totilas, black KWPN Stallion, by (Gribaldi / Glendale) born in 2000, standing approximately 16.3 hands. 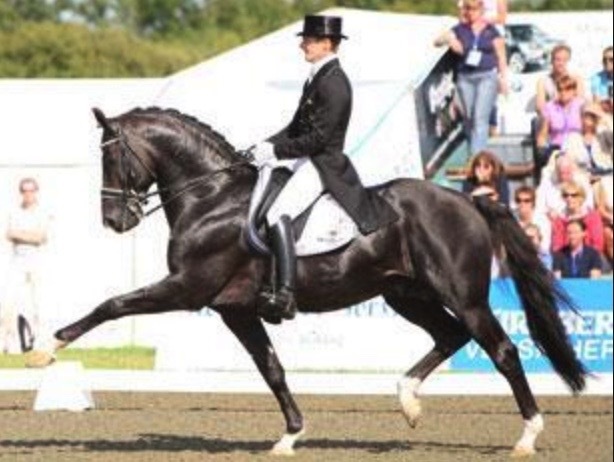 Totilas has changed the world of dressage sport and he is now on the brink of changing the world of dressage horse breeding. This stallion has set record after record in quick-fire succession. 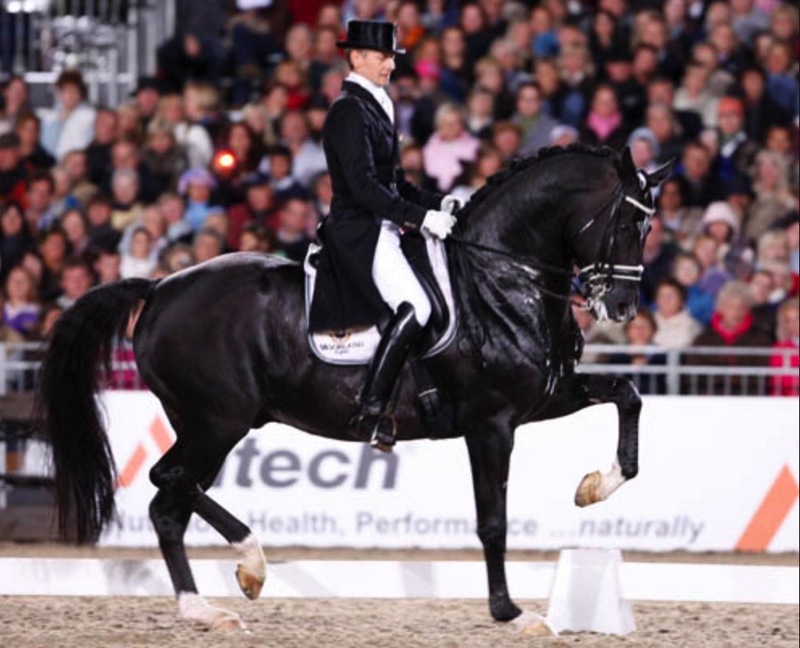 He has broken the world record three times - in 2009 at the European Championship with 90.75 % in the freestyle class, in London with 92.3 % and at the CHIO Aachen 2010 with 86.45% in the Grand Prix Special, where he was awarded the perfect score of 10.0 a total of 28 times. Within the space of only two years, this exceptional stallion has won all the titles there are to win. 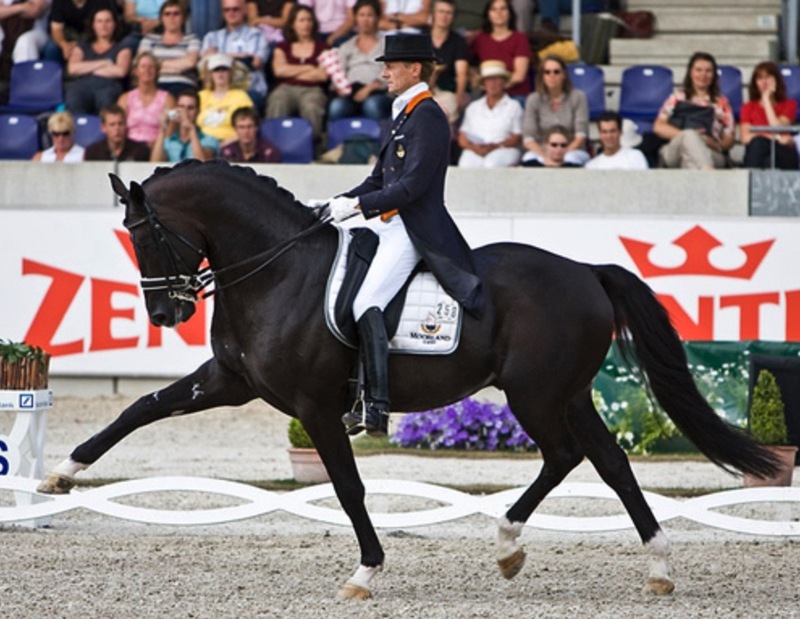 He won two individual World Championship titles in Kentucky, he was European Champion at Windsor, World Cup winner in 2010 and he won the Dutch Championship twice. He also won team gold medals at the European Championship as well as the World Championship. 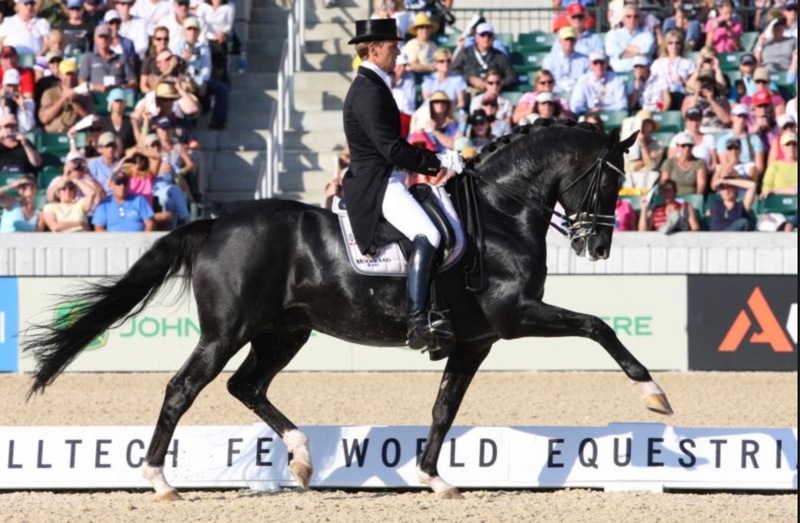 No other dressage horse has ever electrified spectators in the way that Totilas does. We're looking forward to his future achievements with his new rider, Matthias Rath. Totilas' sire, Gribaldi, also competed successfully at international level with Edward Gal. 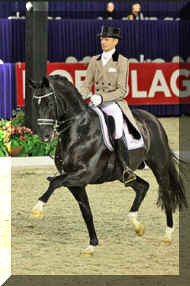 He was Trakehner champion stallion and Trakehner stallion of the Year in 2008. Gribaldi has consistently produced top-class horses such as World Cup winner IPS Painted Black/Anky van Grunsven, Grand Prix winner Sisther de Jeu/Edward Gal, Peter Pan/Beatriz Ferrer-Salat, BMC Pasternak/Coby van Baalen and Zardin Firfod/Patrick Kittel. Eight-times advanced dressage class winner Girasol, ridden by Nadine Capellmann, is one of the biggest young Grand Prix hopefuls and approved stallion Unee came second in the Nuremberg Burgpokal in 2010. Totilas' dam has produced one intermediate and one advanced level dressage horse and Totilas' full sister, Uusminka, is also in training at Edward Gal's yard. 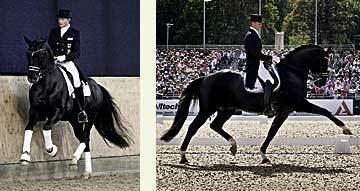 Granddam Elsa produced the advanced dressage horses Talan and Uljanoff. 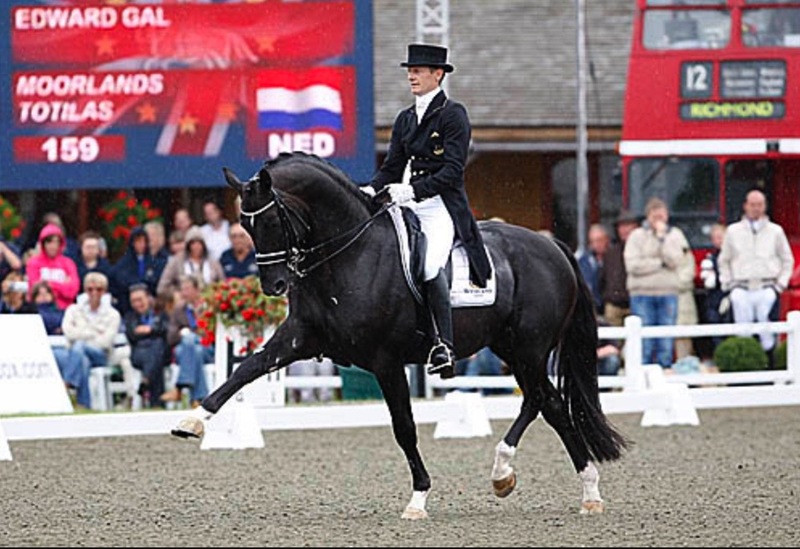 The dam line, which includes a lot of Holstein blood, has produced numerous approved stallions such as Guiminko, Olympic W, Vindicator, Try Time, Racketeer, Amingo and many successful competition horses. Totilas is a living sports legend that is destined to become a breeding legend!